The great wave of immigration that shaped America in the last years of the 19th century and early years of the 20th century was largely fueled by Poles and other Eastern Europeans. 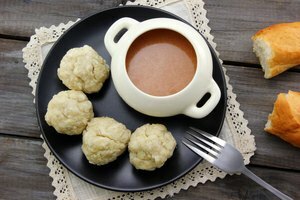 They brought with them a new set of culinary traditions that would become a part of American life, from the pastrami of New York delis to the thick kielbasa sausages of the Midwest. Kielbasa is available in both smoked and fresh versions. The smoked is fully cooked and can be eaten as-is, but the fresh is generally boiled first. Although cooking sausage and other foods in water is usually described as boiling, this is not quite accurate. Although some items like pasta are cooked at a rolling boil, sausages and other meats are usually poached. Poaching is done at a temperature below the boil, usually 160 to 200 degrees Fahrenheit. 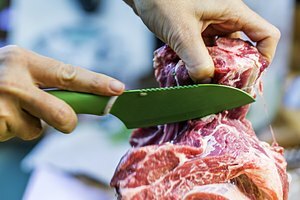 This cooks the meats more gently, preventing the proteins from toughening. 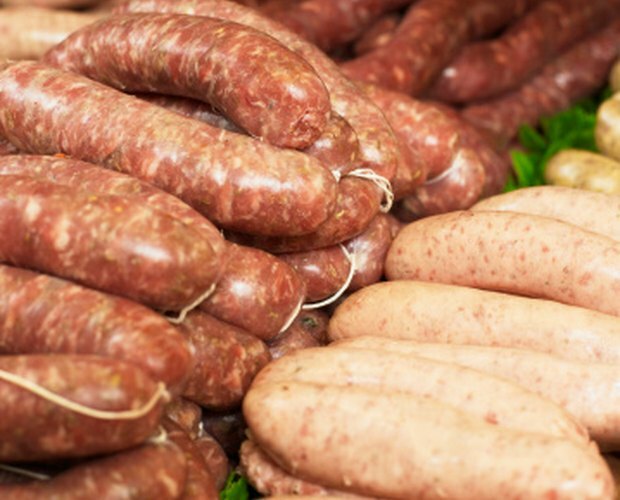 In the case of sausage, it is also less likely to result in burst casings and flavor loss. 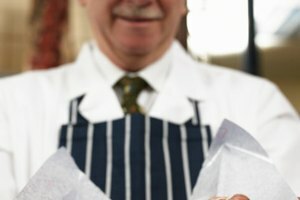 If the sausage will be eaten without any further cooking, it should be poached until the internal temperature reaches a food-safe level of 165 degrees Fahrenheit. If it will later be finished by another method, such as grilling or frying, the kielbasa can be poached to an internal temperature of 145 to 150 degrees. The lower temperature usually requires 15 to 20 minutes' poaching, and 20 to 25 minutes is required for the higher temperature. The only way to know the temperature with certainty is to check it periodically with an instant-read thermometer. One of the most important reasons to poach at a lower temperature, rather than boiling at a higher temperature, is to preserve the texture of the sausage. 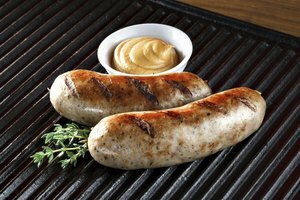 Sausages are an emulsion of meat, fat and water in various proportions, just as mayonnaise is an emulsion of oil and eggs. If you heat mayonnaise in a skillet, the eggs will cook out, leaving a puddle of oil and water behind. If you boil a sausage, the fat and meat juices will melt and cook out, leaving the sausage dry and tough. Poaching preserves the sausage's original texture. The choice of poaching liquid is a factor that's often overlooked. Most poaching is done in plain water, but creative cooks can vary the liquid in many ways. Various herbs and seasonings, such as peppercorns and bay leaves, can be simmered in the water to give it flavor. Wine or beer can be added to the water or used as poaching liquids themselves. Sour ingredients, such as wine vinegar or citrus juice, or sweet ingredients, including brown sugar and maple syrup, can also lend interesting flavors to the sausage as it poaches.